Only 55% of New Jerseyans are able to name correctly either Mitt Romney or Herman Cain as the Republican candidates most recently leading in the polls, with 37 % saying that Romney is ahead, and 18% saying that Cain is. 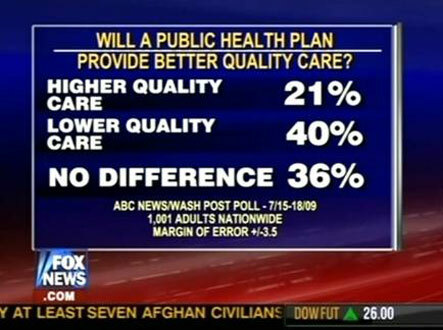 Watching Fox News didn’t help or hurt respondents on this question. 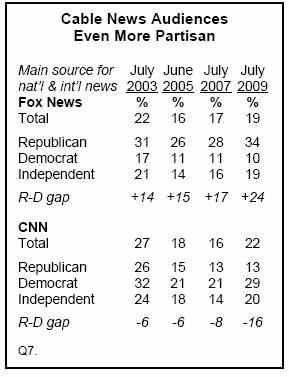 MSNBC, however, helped: Watching MSNBC was associated with a 10-point increase in identifying Romney as the leader, and a 5-point drop in the likelihood of identifying Cain compared to those who got no exposure to news at all. If you have asked a business to change the channel from Fox News, or turn the TV off, what did you say? What was the response? If you haven’t asked, why not? Bill O’Reilly has a poll on the Fox News web site asking visitors to grade President Obama‘s first 100 days in office. At this time, the vast majority have given Obama a passing grade, with 43% giving him an A. First things first – A Fox News poll shows Barack Obama’s approval rating above 60%. 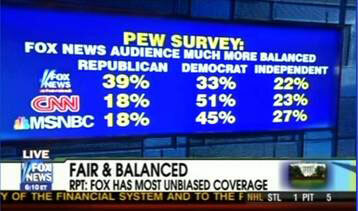 So, why would Bill O’Reilly not use that poll’s findings? Is it not accurate? Is it because he found one that gives Obama a lower rating? According to the Rasmussen poll, only 34% of American approve of the job Obama is doing. He chose to use that poll instead. What is this Rasmussen poll? 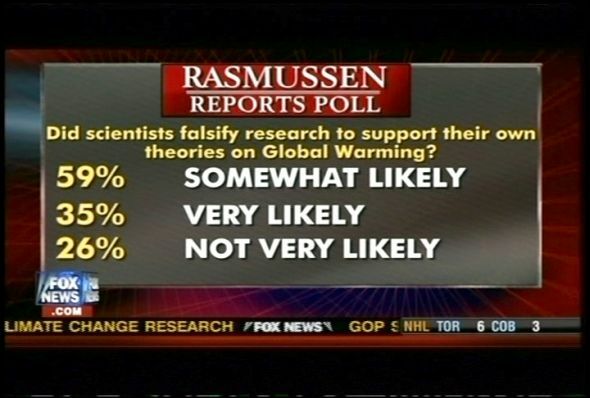 Scott Rasmussen is a frequent guest on Fox News and the poll’s questions have frequently been criticized for have a strong right-wing slant. Ah hah.